The Benevolent, the Drinks Industry Charity, is pleased to announce that Michael Saunders, CEO of Bibendum PLB, has been officially appointed the new Chairman of the charity following Tom Yusef’s successful two-year tenure. Michael Saunders joined Bibendum in 1982, playing a leading role in growing the company to become a market leader in the UK wine industry. Michael has spent his long career building Bibendum into the UK’s most successful independently owned wine and spirits business. Having been a long-standing supporter of The Benevolent, both personally and through the company, Michael has pledged to use his expertise and extensive contacts to further raise the profile of The Benevolent within the UK drinks industry and to especially encourage an increase in financial support from the wider trade. Michael Saunders’ two-year appointment as Chairman was announced at The Vintners’ Company Annual Lunch in aid of The Benevolent, attended by over 140 senior members of the drinks trade and held at Vintners’ Hall on Friday 11th January. The yearly event is a further demonstration of the continuing support to The Benevolent by its Founder Patron, The Vintners’ Company, exemplifying the spirit of the trade and showing how the drinks industry so generously supports its own community. Another highlight of the afternoon was the presentation of the Vintners’ Benevolent Award to Pip Mortimer, Senior Tasting Manager at IWSC. 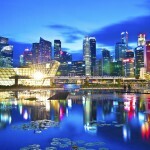 The Award was established by the Trade Liaison Committee of The Vintners’ Company in 2013 to acknowledge and celebrate an individual who has actively and innovatively helped raise the profile of The Benevolent and its work, going above and beyond the call of duty in supporting their trade charity. The award was presented to Pip, who took part and completed the London Marathon raising over £6,200 for The Benevolent in April 2018. Pip’s 26.2 miles run shows what can be accomplished when an individual is determined to make a difference to the life of someone in need. In addition to the presentation of the Award, guests at the luncheon enjoyed a superb three course meal accompanied by the finest wines from the Vintners’ cellars, whilst networking with fellow members of the trade. 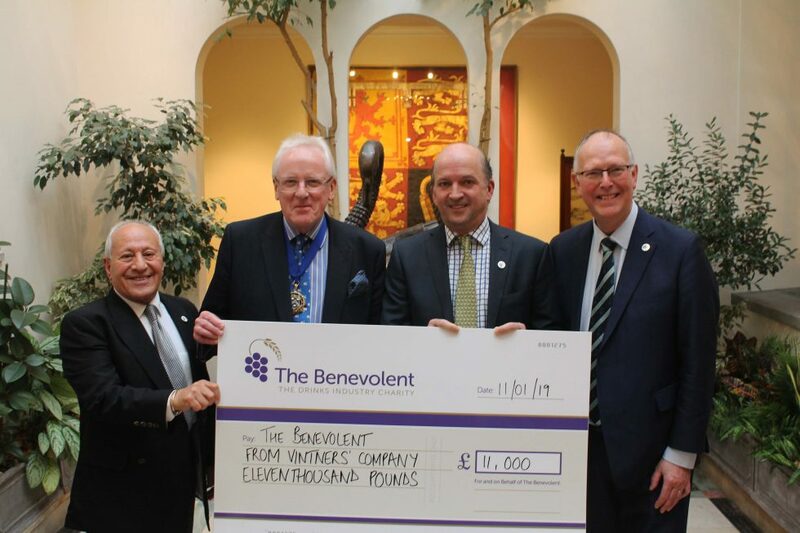 At the end of the lunch a cheque for £11,000 was passed to The Benevolent from The Vintners’ Company which will greatly aid colleagues from the UK drinks industry facing a variety of difficult circumstances, including serious illness, financial hardship or mental health difficulties. 2019 promises to be another important year for The Benevolent and I look forward to playing my part in supporting Chris and his team to both raise awareness of our work and the vital funds needed to enable us to provide the support that is in such demand. 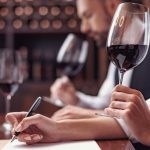 The Benevolent is the trade charity for people who are currently working, or have worked, in the UK drinks industry in any role and in any trade sector. The Benevolent is the only charity that supports employees, or former employees, from every area of the UK drinks industry providing practical, emotional and financial help. The mission of the charity is to support our colleagues facing a variety of difficult circumstances, including serious illness, disability, mental health difficulties, issues with debt or any family crisis such as a seriously ill partner or child.